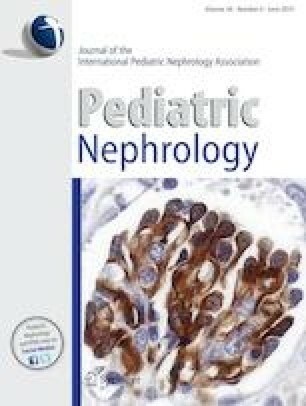 Hemolytic uremic syndrome (HUS) is a leading cause of acute kidney injury in children. Although international guidelines emphasize comprehensive evaluation and treatment with eculizumab, access to diagnostic and therapeutic facilities is limited in most developing countries. The burden of Shiga toxin-associated HUS in India is unclear; school-going children show high prevalence of anti-factor H (FH) antibodies. The aim of the consensus meeting was to formulate guidelines for the diagnosis and management of HUS in children, specific to the needs of the country. Four workgroups performed literature review and graded research studies addressing (i) investigations, biopsy, genetics, and differential diagnosis; (ii) Shiga toxin, pneumococcal, and infection-associated HUS; (iii) atypical HUS; and (iv) complement blockade. Consensus statements developed by the workgroups were discussed during a consensus meeting in March 2017. An algorithm for classification and evaluation was developed. The management of Shiga toxin-associated HUS is supportive; prompt plasma exchanges (PEX) is the chief therapy in patients with atypical HUS. Experts recommend that patients with anti-FH-associated HUS be managed with a combination of PEX and immunosuppressive medications. Indications for eculizumab include incomplete remission with plasma therapy, life-threatening features, complications of PEX or vascular access, inherited defects in complement regulation, and recurrence of HUS in allografts. Priorities for capacity building in regional and national laboratories are highlighted. Limited diagnostic capabilities and lack of access to eculizumab prevent the implementation of international guidelines for HUS in most developing countries. We propose practice guidelines for India, which will perhaps be applicable to other developing countries. The online version of this article ( https://doi.org/10.1007/s00467-019-04233-7) contains supplementary material, which is available to authorized users. Funding support for collaborative research studies and consensus development by Indo-French Centre for the Promotion of Advanced Research (CEFIPRA) [IFC/A/4703-1/2015/1562; IFC/Network 1/2185]; Department of Biotechnology, Government of India [BT/PR14651/MED/30/566/2010]; Indian Council of Medical Research [Advanced Centre for Research in Pediatric Kidney Diseases; 5/7/1090/2013-RHN]; Department of Science and Technology, Government of India [EMR12016/002781]; and All India Institute of Medical Sciences, New Delhi [A-386].